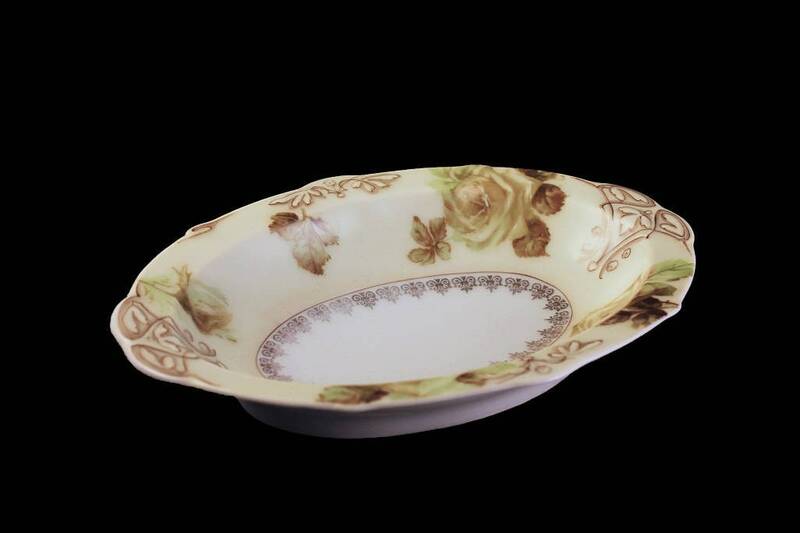 A gorgeous antique oval relish dish by Hermann Ohme Silesia, Germany. Old Ivory has an ivory matte finish and XVI (16) is it's pattern number. Clairon is the china's shape. 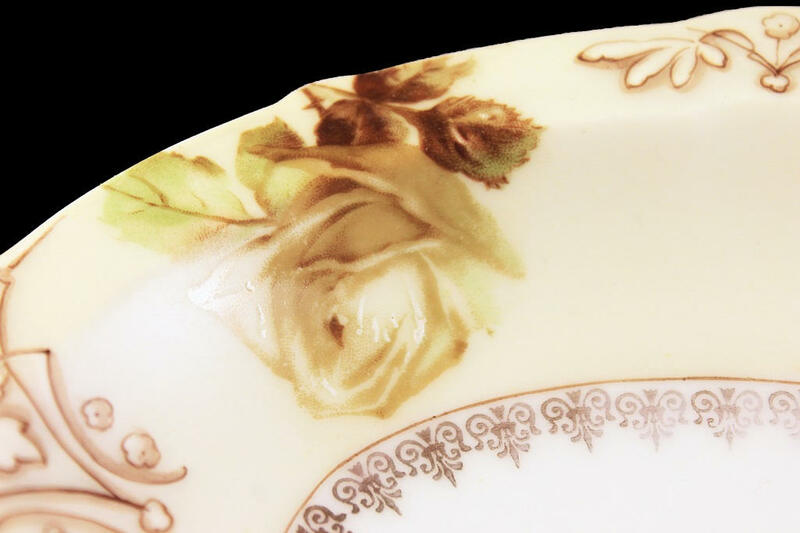 The pattern consists of roses and brown scrolls with gold trim around the verge. 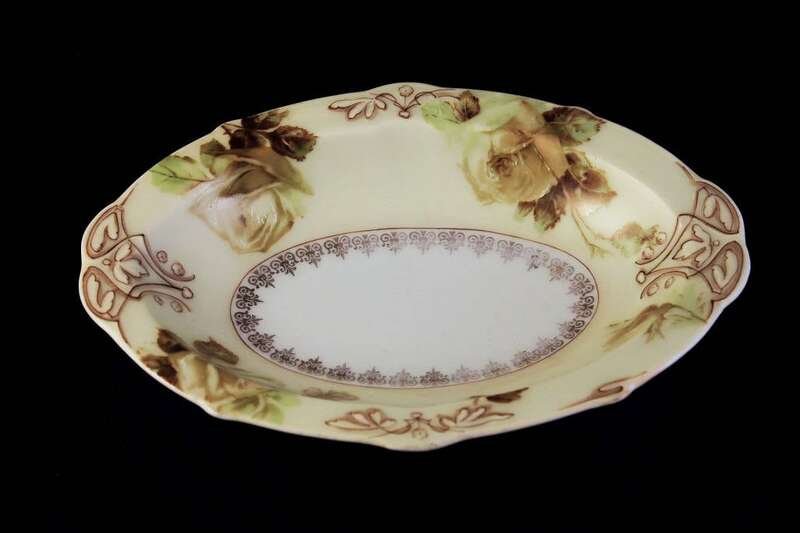 This would be a great find for the collector of antique fine china. A beautiful addition to a china or curio cabinet as a display piece. 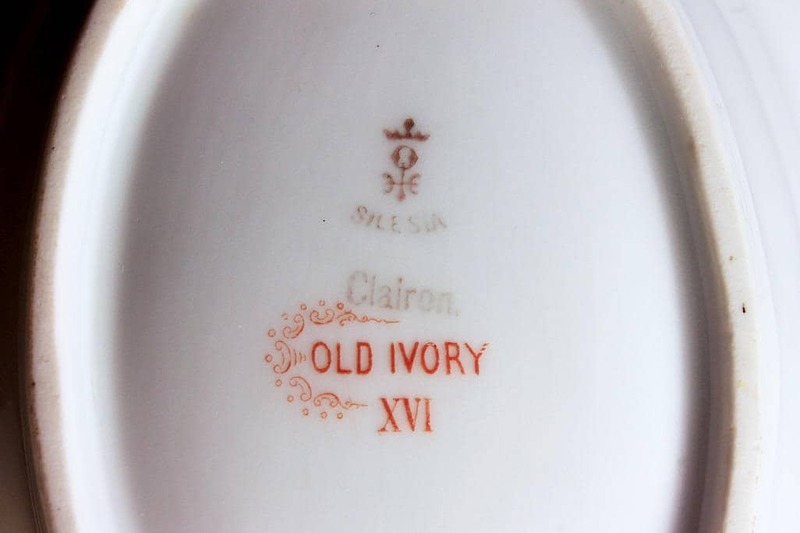 Old Ivory China and Ohme were manufactured between 1882 and 1928. The factory was located in Niedersalzbrunn, Silesia, Germany (now the town of Walbrzych in Western Poland). 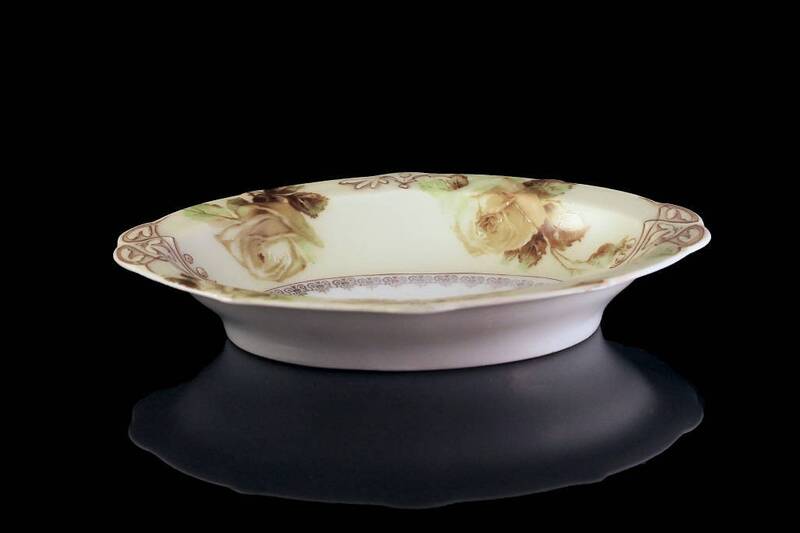 The Ohme factory produced two major types of porcelain, which are generally referred to as clear glaze and Old Ivory. 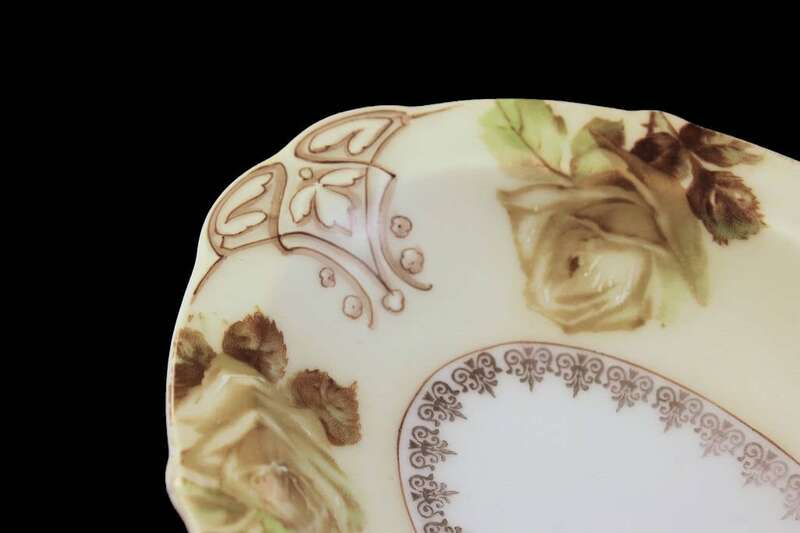 Both lines of Ohme Porcelains were produced in full dinner sets and multiple accessories. This relish dish is in excellent condition. It has no chips, cracks, crazing, or utensil marks. 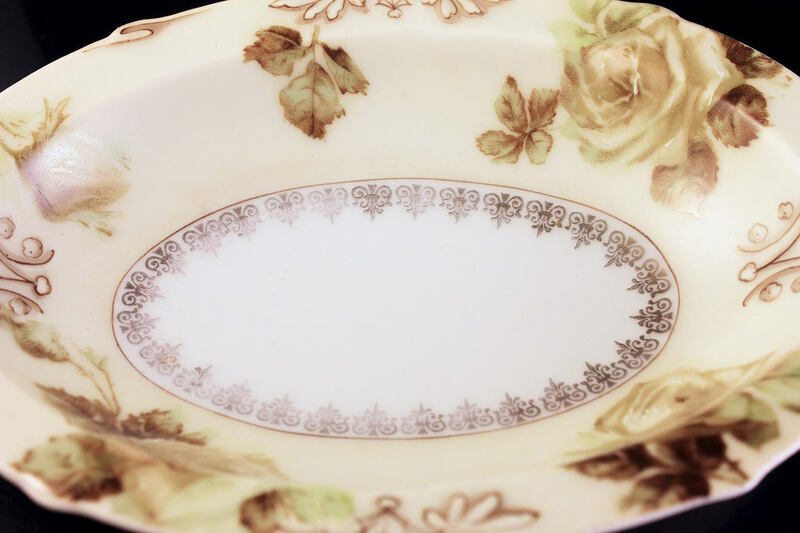 There is wear to the gold on the verge of the bowl. This is normal for an antique bowl. This bowl is hard to find in this wonderful condition. It would be a great gift idea for a wedding, wedding shower, holiday, or special occasion. 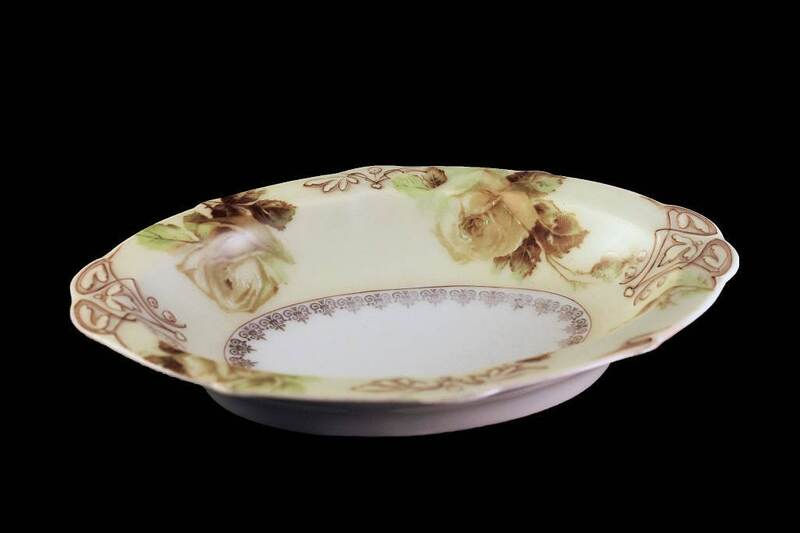 A wonderful gift for a collector of antique fine china.